Jeff has held increasingly responsible business management, marketing, and sales roles over 20 years in the Automotive industry. He has dedicated himself to a career-long commitment of inspiring enduring customer trust and confidence. Jeff has represented a diverse portfolio of both vehicle content and testing tools from design verification, assembly validation, through repair and remanufacturing to the Automotive OEMs, and Tiered Suppliers Globally. He holds a Bachelor of Science degree from Central Michigan University, and several SAE Vehicle BUS, and IEE Certificates. With 20+ years in software design in the automotive industry, John brings an impressive degree of software engineering experience and proven developmental strength to the PTM team. He has a unique ability to create innovative solutions that solve complex problems, and inspire effective and practical products for the end user. Harry brings his extensive design experience from the commercial and industrial electronics sectors to PTM Electronics. His designs include many laboratory instruments for the automotive market. Applying his successful expertise in Printed Circuit Design and Manufacturing and design for EMC compliance round-out his value to PTM and our customers. Harry is also a seasoned author of many technical papers and published in electronic design periodicals and forums. Electric Power Steering SW Dept. MGR. Elvis maintains an on-going passion for software development and learning. During his 30+ year career, 15 years in the automotive sector Elvis has designed, coded, implemented and managed many development efforts with a very high degree of success. Though he is focused on the user point of view and customer requirements, Elvis has been involved with software and hardware development from plant floor to board room. 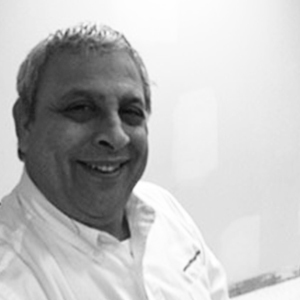 Pete has dedicated over 30+ years of his career to interior electronics product development. From IP clusters and advanced Audio systems to Satellite-to-Vehicle communications, and Integrated Center Stack HMI systems Pete has held key developmental and production validation roles with many of the most notable Global OEMs and Tier One suppliers. Della has an extensive career history including human resources, accounting, and office management. Through her diverse experience she has cultivated a distinct reputation for stellar customer service and dedication to superior service delivery. She studied Business Management at Eastern Michigan University and holds multiple certifications including SHRM.